Previous Story Camera Deals of the Day: $100 off Sony lens with NEX purchase, Nikon D3100 2-lens bundle for $500, Sigma 24-70 f/2.8 lens starting at $649 and more! Richard Crawley's most famous image almost didn't happen. 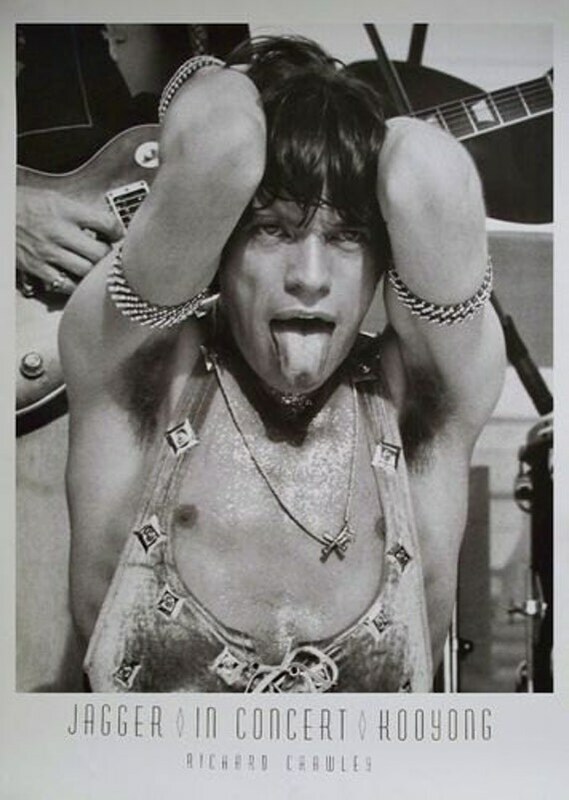 The photo, an iconic shot of Mick Jagger of the Rolling Stones sticking out his tongue during a show in Australia in the 1970s, was captured on a classic Minolta SR-T 101, which was a cutting-edge film SLR at the time. Crawley couldn't afford a ticket to the Stones concert, so he faked a press pass using the fictious media outlet "Blue Meanie Press," and then clawed his way to the front of the show, where he says it was "mayhem." "And then I ran out of film," he recalls in the wonderful little video tribute to his Minolta camera below. "And so I bought a film from a guy next to me for 50 cents." Just after loading the new roll of film, the crowd in front of Crawley suddenly parted, revealing a clear glimpse of Jagger in front of him. "It was sort of like the parting of the Red Sea. And he looks straight at me with this famous famous image…with his hands behind his head and his tongue sticking out and, of course, the tongue became the logo. Amazingly, the shot was the last one on the reel. Click. The last shot on the reel and this was it." See more of Crawley's work here.